R&B singer Frank Ocean recently completed an interview with the Guardian Guide. In the interview, he talked about how it felt like to come out and his reasons for revealing his romance with another man. Ocean came out gay in his tumblr on 3rd July. In his posting, he talked about his 'first love'. Ocean added that his feelings for the man were not reciprocated. In an exclusive interview to be published in the Guardian Guide on Saturday, the 24-year old R&B singer also identifies an element of altruism in his decision. "I wished at 13 there was somebody I looked up to who would have said something like that, who would have been transparent in that way," he said. 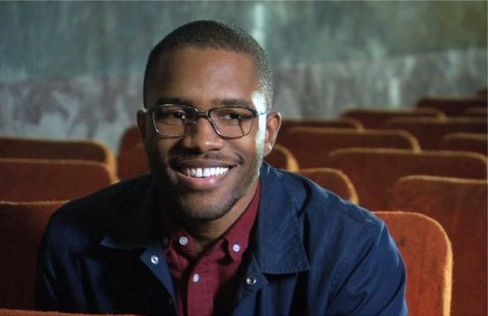 Ocean's comments follow on from his Tumblr post, in which he talked about falling in love for the first time with a man, and the release of his critically acclaimed album Channel Orange. He said that his open letter was written in December 2011 with a view to include it in the album sleeve notes in order to pre-empt speculation that might arise from some of its songs addressing men. "I knew that I was writing in a way that people would ask questions," he said. "I knew that my star was rising, and I knew that if I waited I would always have somebody that I respected be able to encourage me to wait longer, to not say it till who knows when." The Odd Future member also downplayed the risk in his coming out. "People are just afraid of things too much … Sure, evil exists, extremism exists. Somebody could commit a hate crime and hurt me. But they could do the same just because I'm black. They could do the same just because I'm American."